The price given is a true estimate of what we expect to charge you. If there are unforeseen circumstances that we could not have been aware, that will affect the price, we will provide you with an updated estimate. You have the right to accept the price or decline. Payment will be required for any work completed up to the point you cancel. We will endeavour to complete the work within the specified time. We are only liable for delays caused by our negligence. Any work will be completed within a reasonable time. Full payment is required on satisfactory completion. In the unlikely event you are dis-satisfied; you are entitled to withhold an amount to reflect any remedial work that may be required. We should be given the opportunity to complete any remedial work. If you would like to change what is to be supplied, we would request that you confirm this in writing or other durable form (e.g. email). This will ensure both parties have appropriate records and can refer back to what was agreed. If for any reason you are unable to make the appointment and do not give at least 48hrs notice before the fitting date then you will be held liable to a minimum call out charge of at least £120. We will always endeavour to meet the customers’ needs without charges being incurred. If the fitters cannot complete the works due to issues caused by the customer, i.e. wet paint, site accessibility, parking, sub-floor conditions, then a full days labour cost for each fitter will be charged. We cannot be held liable for damage caused to skirting boards during the fitting process, however we will ensure every care is taken to avoid this. When fitting stair runners Cherry carpets cannot be held liable for cracks in the paintwork as this is a very forceful process and cracks can appear on poor quality paintwork. All efforts will be made to predict the cost of the sub floor preparation. However until the floor has been fully removed we are unable to give a definite cost and it may vary according to the state of the floor beneath. Uplift costs are based on 1 layer of floorings being removed. Should there be multiple floorings then additional labour costs will be applied. Upon the site survey the amount of furniture on site is graded and a price agreed. Any additional furniture will incur extra charges. It is the customer’s responsibility to remove smaller items, clothes, valuables and breakable objects both inside and outside of cupboards. If the customer chooses to complete the preparation themselves then an inspection will be required by our estimator at a call out fee of £50. If the sub-floor condition is not to the standard set out by the manufacturer then additional labour & material costs will be incurred if the job is to continue. If materials have been ordered then a 20% handling fee will be incurred. We work in line with the Supply of Goods & Services Act, which states that any work or service carried out for you must be done with reasonable care and skill, within a reasonable time and for a reasonable charge (if not agreed beforehand).Any goods/parts provided should be of satisfactory quality, fit for the purpose and as described. If in the unlikely event a problem arises, we aim to resolve the issue within a reasonable time. Where we cannot resolve any complaints using our own complaints procedure, as a Which? Trusted trader we use Dispute Resolution Ombudsman for dispute resolution. In the unlikely event of a complaint arising and you wish to refer the complaint to them please contact 0333 241 3209 or via their website https://www.disputeresolutionombudsman.org/which-trusted-traders-partnership/. In the unlikely event there is anything you are not completely satisfied with, please contact us as soon as you can in order that we can rectify any problems as soon as possible. 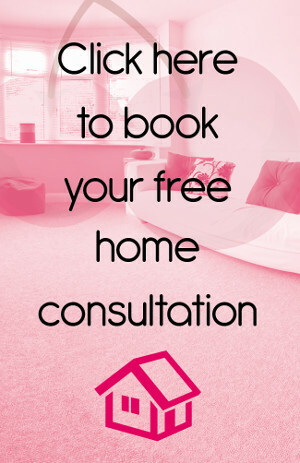 Either call us on 0208 249 9726, or write to us at Cherry Carpets LTD, Flint Research Institute, 132 Heathfield Road, Keston BR2 6BA or email us at info@cherrycarpets.com. We aim to respond within 3 days of receiving your complaint and where possible, will provide you with a date to remedy any issues raised.